Somalilanders all over the world commemorated the historic 23rd anniversary of self-governance since leaving Greater Somalia and celebrated the nation’s many achievements, despite lack of international recognition and regional security instability. 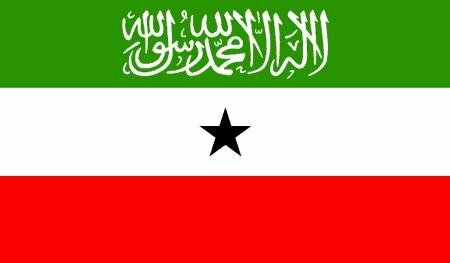 Commemorations marking 23 years of self-governance since seceding from "Greater Somalia", despite lack of international recognitions, were celebrated all over the world in different continents and countries with diaspora communities affiliated to Somaliland. In London, Foreign Affairs & International Co-operation Minister, Mohamed Bihi Yonis, led the Association of Somaliland community in celebrating the historic day when they stood on their own as a nation after bearing hefty losses in liberating themselves from chaotic & despotic regime that reigned for close to 30 years by the dictatorship of the gun. The Minister gave assurance before an exultant and colourfully dressed countrymen and women that the international community is on its way in granting recognition to the nation as it has fulfilled the benchmarks of attaining that status. The Foreign Minister further narrated the historical genesis undergone by the country to a celebrating crowd; that upon securing independence, the nation chose to voluntarily enter into marriage with Somalia in creating "Greater Somalia" but not before being recognized by 35 member states of the UN, including all the five permanent members of the Security Council consisting of USA, China, Russia France and UK. Bihi noted that the union his country entered into led to unequal distribution of natural resources and political power, inhuman treatment of citizens coupled with historical injustice and atrocities committed against the civilian population that eventually culminated in aerial bombardment of Hargeisa where more than 50,000 people lost their lives while another 500,000 were displaced. He also highlighted the recently concluded Economic Forum in Abuja in which he participated by representing the Government and underpinned Somaliland's unique case after inquiring how it has achieved the success in a region where anarchy, civil war and terrorism are the orders of the day. The Foreign Minister being amongst the longest career diplomats to have worked with UN was optimistic that international community is treating Somaliland's case on its own with developed nations insisting that Hargeisa should first the blessings of the continental body [African Union] as well as the approval of regional grouping of IGAD composed of Kenya, Uganda, Tanzania, Ethiopia, Djibouti, Sudan whose diplomatic ties are in the good books of Somaliland foreign policy. He reminded London-based Somalilanders that Kenyan authorities are eager in establishing a consulate office at Hargeisa to safeguard their interests while an envoy has been named and dispatched to Turkey, where it is expected that Ankara will reciprocate the same in the near future. In Qatar, celebrations were held in the capital Doha where Somaliland people across the country assembled for the events in more or less similar fashion observed elsewhere. In Helsinki, Finland, political party discrepancies were forgotten. The former leader of Somaliland Diaspora Group Suleiman Mohamed, the chair of UCID's chapter in Finland Jamal Mohamed & Kulmiye's Finnish chapter chairman Mohamed Abdillahi organized an international status event with Finnish political leadership in attendance at the celebrations. In Minneapolis, Presidency Minister Hirsi Ali Hassan led the Association of Somaliland Diaspora Community in North America to vividly remember the day where he took to the podium to remember Independence Day that we are commemorating 23 years later. Hirsi also used the chance to urge North American-based Somalilanders to financially take part in Erigavo road construction.